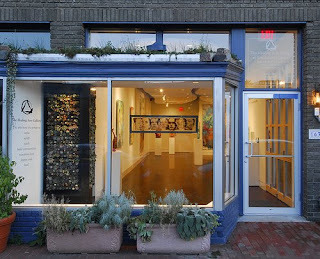 DC's Long View Gallery will relocate to a currently vacant building directly across from the Walter E. Washington Convention Center at 1234 Ninth Street, NW. The gallery’s new space will undergo major renovation, more than quadrupling the gallery’s exhibition capacity, enhancing its custom framing and special event offerings, and making it one of the area’s largest art spaces. The gallery’s renovation, designed by local architect Will Couch, will maintain the raw feel of the new location's building while transforming it into a premier gallery space. The new gallery will occupy the southern portion of the building, comprised of nearly 5,000 square feet, more than quadrupling the square footage of the Long View Gallery’s current location. Get a copy of the prospectus by calling (202) 483-8600 or email gallery@smithfarm.com or download it at www.smithfarm.com/gallery/FINALProspectus.pdf.